After its establishment in 2011, Chabad at Wesleyan is now expanding with a new house on 132 Church Street. Throughout the years, Chabad at Wesleyan has offered social, educational, recreational, and religious programming, but its new construction will now offer new opportunities for more students and faculty to engage with Jewish life on campus. Managed and organized by Rabbi Levi Schectman and his wife, Chanie Schectman, Chabad provides a homey atmosphere by hosting Shabbat dinners every Friday and other community-oriented events like shofar making for Rosh Hashanah and matzah baking. Along with that, Chabad also offers many extracurricular classes where students can research and learn about topics of their choice with Rabbi Schectman and Chanie. “We provide that home, family-like atmosphere and provide a comfortable environment for students to engage or sometimes also re-engage with their Jewish identity and Jewish heritage,” Rabbi Schectman said. Functioning as a private organization, Chabad itself is a global Jewish movement whose vision is to spread Judaism and be inclusive of all Jews, regardless of their background. According to the Chabad at Wesleyan website, there are over 4,000 emissaries around the globe and over 80 branches on U.S. college campuses. Funding for local chapters comes from parents, alumni, donors, and other individuals. “Chabad is the largest Jewish outreach organization in the world today,” the site reads. Students have found this family particularly warm and welcoming. Those at Wesleyan who desire to be a part of an active Jewish community have found Chabad to provide just that. “Shabbat dinners and Jewish holiday programming have fostered a community on campus, which I have found very meaningful to be part of over the last few years,” Andrew Schwartz ’20 said. 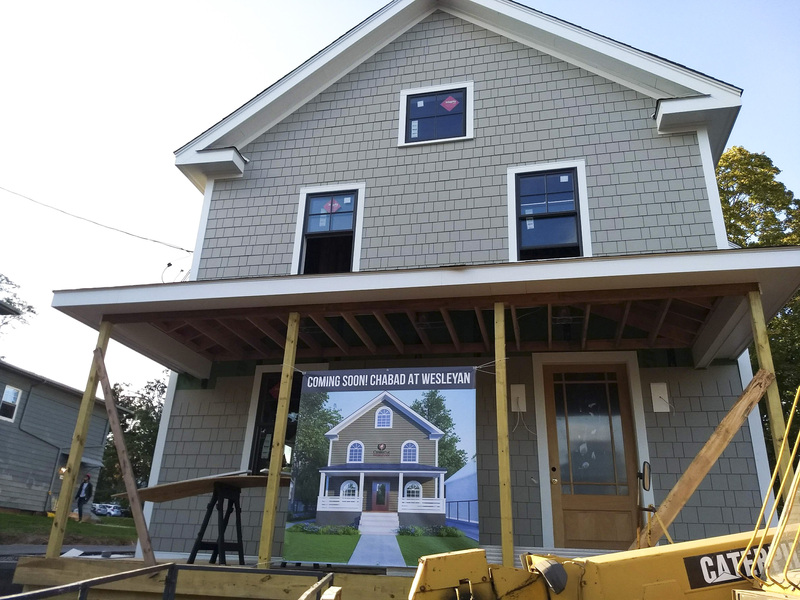 The construction of the new house at 132 Church Street, which began in March 2018, has been a very exciting moment for the organization. After hosting students for the past seven years, the Schectmans off-campus home was bursting at the seams with the growing number of students attending Shabbat dinners each week. To accommodate the plethora of students, the Schectmans bought a three-family home from an individual that often rented to University graduate students. Initially, the Schectmans tried to maintain the original structure, but Rabbi Schectman explained that there were too many issues that it was ultimately unfeasible. “No matter which way we looked at it, it didn’t make sense. That’s why we had to start from scratch,” Rabbi Schectman said. The new structure, which is closer to the heart of campus, will include a large, multi-functional dining room for 75 students, a spacious kitchen, a student lounge, a library and conference room, the Rabbi’s office, and guest suites in the basement for visiting alumni and families. The second floor will be reserved for the Rabbi’s family, which will include their three sons and baby daughter. The goal of the new house is to create a home away from home that offers a vibrant Jewish experience for more students and faculty. Rabbi Schectman hopes that the expanded house will allow the organization to host more students and have larger events than ever before. In that same vein, the new house will also improve the quality of events that take place as the organization will finally have its own distinct space. 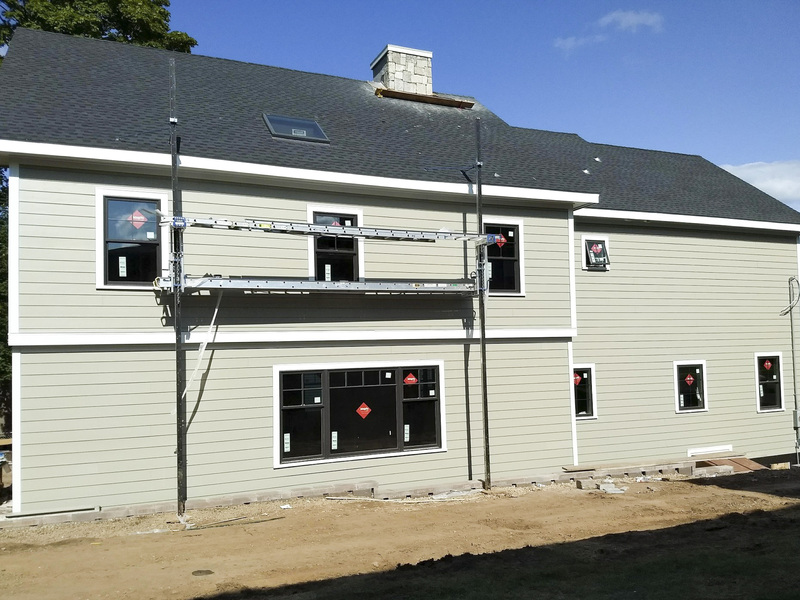 Multiple students find the new construction exciting as well, particularly emphasizing the new house’s newfound accessibility for more students on campus. Construction is likely to be finalized in the beginning of March, but Rabbi Schectman is itching for the completion of the house.